Reducing your food miles by growing your own food is one of the most enjoyable ways to make planet-friendly changes in your life. Chillies are rewarding plants to grow and need very minimal care. I love the splash of colour they provide in the garden and how prolifically many varieties produce. I usually grow a Cayenne chillie in a large pot each year and end up with way more fruit than I know what to do with. Some I share, others I freeze for later use and the rest I usually give to my dad to make into chilli sauce (yum!). 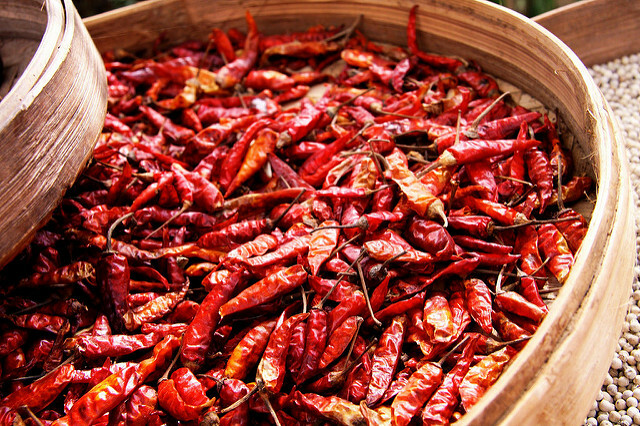 Chillies originated in Bolivia and spread through Central and South America. They are grown as perennials in tropic and sub-tropical areas, and as a short-lived perennial or annual in other areas. There are hundreds of varieties to choose from, and these are usually rated on a heat scale. 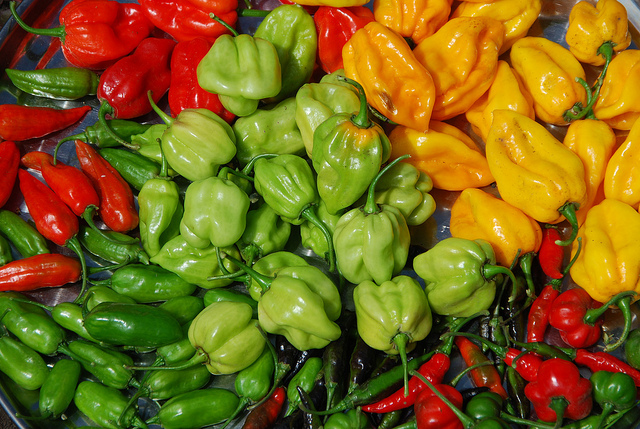 Pimento is considered very mild, Jalapeno mid-range and Habanero and 7 Pot are extremely hot. Chillies are a member of the Solanaceae family, making them relatives of tomatoes and potatoes. To reduce the risk of pests and diseases avoid growing your chillies in soil that has recently grown these plants. Chillies love the sun and need some protection from the wind. In areas such as Adelaide where the summer sun is very strong, provide some shade at this time. Chillies are frost sensitive so wait until the weather starts the warm up in your area before planting. A range of soil types will keep your chillies happy as long as plants have good drainage and an acidity between 5.5-6.5. Too much fertilizer will result in lush foliage at the expense of fruit. Soils rich in organic matter are ideal. Try adding potash and compost at the time of planting, then again about 6 weeks later. Chillies are sensitive about their root system being disturbed so be mindful of this when planning your garden. Container planting is an ideal way to grow your chillies, particularly if you live in a frost prone area because you can move them to some shelter during winter. Blossom end rot is easily prevented. For calcium, try applying potash. Eggshells contain calcium too however they need to be crushed finely to help the plant absorb it. 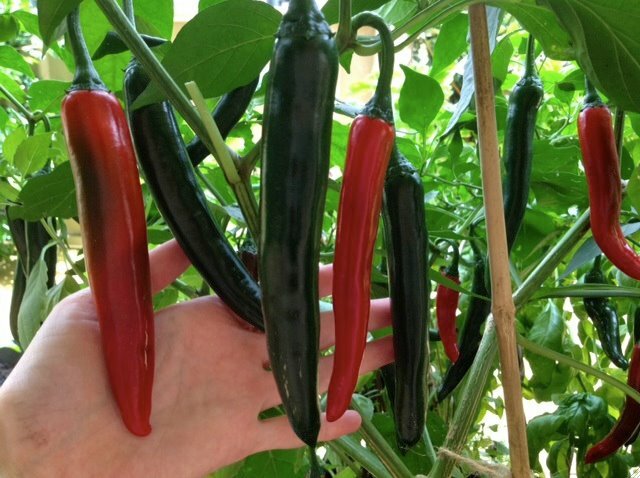 Your chillies will produce most of their fruit between December and April. Picking encourages your plants to produce more fruit so do this to ensure a maximum harvest. Fruit are not all red when ripe, they can be yellow, orange, green or even purple. You can store your chillies by freezing, drying, or making them into sauces or pickles. They are perfect for sharing with friends as well. 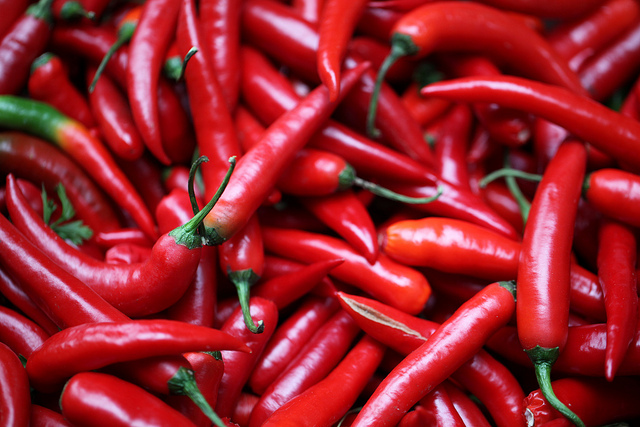 Chillies can be highly irritating to skin and eyes so be careful when handling them. It’s best to wear gloves. If you do get a reaction on your skin applying some regular full-fat yoghurt. 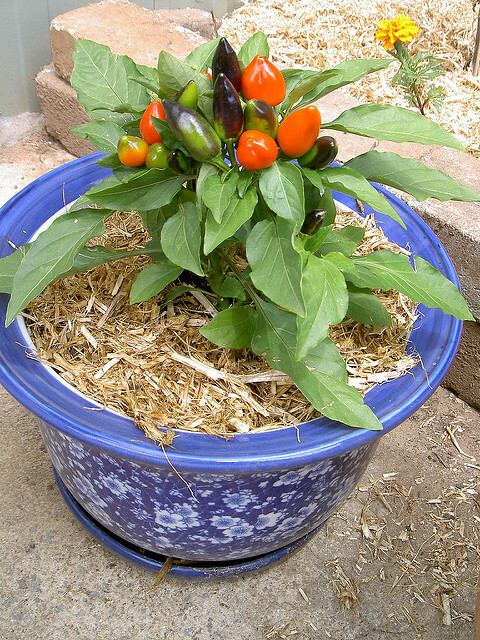 Chillies make great gifts so why not try grow one up in an attractive pot for friend, family member or co-worker. I’m growing three chillies this year, two of which I plan to give away. Although I like to grow most plants from seed I do often buy chillies as seedlings to give them a headstart. Last year I also grew a small red capsicum in a container and that did really well too. Having a small backyard doesn’t mean you have to miss out on growing a range of nutritious vegetables. Have you grown chillies? What is your favourite variety?